You Can Monitor Your Baby's Vital Signs 24/7, But Should You? : Shots - Health News A new generation of baby monitors lets new parents track their child's heartbeat and other vital signs. But they're not health devices, a pediatrician warns, and could give a false sense of security. You Can Monitor Your Baby's Vital Signs 24/7, But Should You? I'm sure I'm not the only parent who has hovered over a newborn's crib, wondering, "Is she breathing?" Tech companies are now offering to help parents manage that anxiety with devices that monitor a baby's vital signs and beam them to a smartphone. But that might not be such a good idea, according to Dr. David King, a pediatric researcher at the University of Sheffield. He first heard baby vital signs monitors being discussed on the radio, and "I suspected there wasn't much evidence behind it, because I knew cardiovascular monitoring wasn't recommended in SIDS." The Exmobaby monitor tracks a baby's heart rate and temperature and ports it to a parent's phone. King is referring to unhappy experiments in the 1980s and 1990s with using monitors in an attempt to prevent sudden infant death syndrome, or SIDS. The monitors failed to reduce SIDS deaths in healthy infants and are no longer recommended by the American Academy of Pediatrics and other medical groups. The problem, King says, is that there's no research to suggest that the information provided by these new devices provides a reliable indicator of danger, or indeed any reliable information about your child. "It's not a medical device; it's not registered as a medical device. It's just for fun, really," King told Shots. "But if you look at the marketing so far, I don't think that's the message that comes across." He wrote about his findings in Tuesday's British Medical Journal. The Mimo baby monitor system is not a medical device, is neither regulated nor approved by the U.S. Food and Drug Administration, and is not designed to detect or prevent causes of sudden infant death syndrome (SIDS). 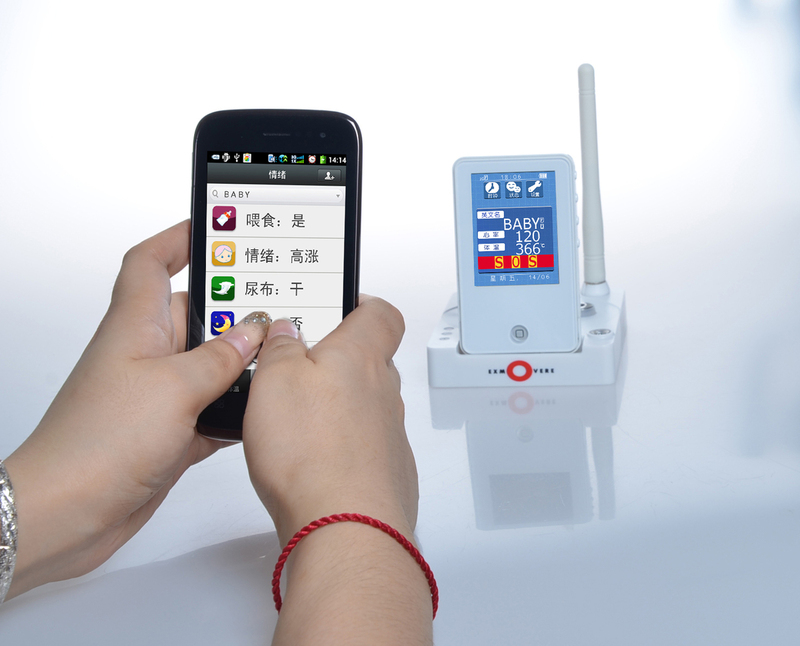 The Mimo baby monitor system is intended to help you monitor your baby and is not to be used as a substitute for parenting or other adult supervision. Use of the services and any content is entirely at your own risk. The Owlet Baby Monitor is meant to help you be aware of possible indicators of danger, but your baby's safety is your responsibility. Call me picky, but isn't keeping babies safe what parents were designed for? And truth to tell, I don't know how I could use data on an infant's heart rate and blood oxygen level to keep her safe. One of the big problems with SIDS monitors was that they gave many false alarms, panicking parents. 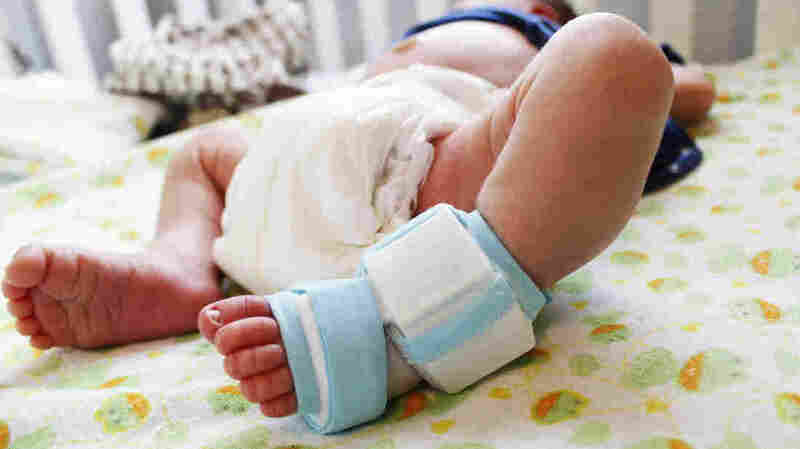 The developer of Exmobaby, which is being sold in China, is applying for FDA approval to sell its monitor in the United States. "I can tell you that the big healthcare product distributors in the U.S. that I have approached demand at least a 510k clearance from the FDA," David Bychkov, the CEO of Exmobaby, told Shots via email. That allows marketing of devices that are similar to devices already approved by the FDA. In the case of Exmobaby, that would be an electrocardiogram and temperature sensor. "The product is helpful for allowing a mom to keep track and record a baby's vital signs as it develops in year one," Bychkov wrote. "Mom can also use the system to log emotional changes and correlate those changes with the baby's underlying temperature and heart rate data." I vividly remember parsing my newborn's emotional changes; who could ever forget that first smile? But much as I love tech gizmos, I think I'll take a pass on baby ECGs.